Unfortunately the Uncle Art Elite II Orchestral and Retrogaming Kickstarter didn't quite make it but it got pretty close - like more than 90% funded close which is much more than I expected. Seems like the guys are going to reboot another Kickstarter next month so stay tuned! 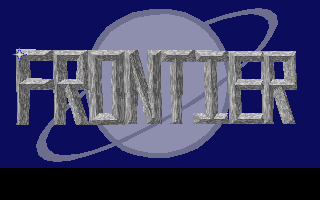 Anyway, to finish off the Frontier: Elite II soundtrack I present you a piece of music that has become a staple of every Elite game to date: The Blue Danube by Johan Strauss II. Obviously inspired by the iconic docking sequence in the film "2001: A Space Odyssey", the music has featured in every Elite game when you dock as well. In the most recent Elite, Elite: Dangerous, you can hear the piece the way it was meant to be played: by a live orchestra.